The Königsplatz (ger. "King's Square") is a square covering an area of over two hectares and a building ensemble in the heart of the King's District in Klenzing. It consists of three classical edifices: the Propylaea, the Glyptothek and the Collections of Antiquities. The street in the middle of the square is part of the southern main street between Wittelsbach Square and the Bavarian Gate in the south of the city. 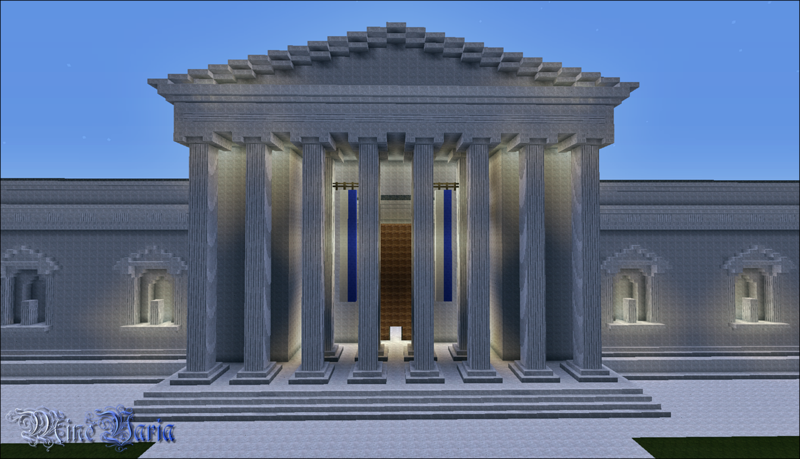 The Propylaea are completed but the Glyptothek and the Collection of Antiquities are still under construction.